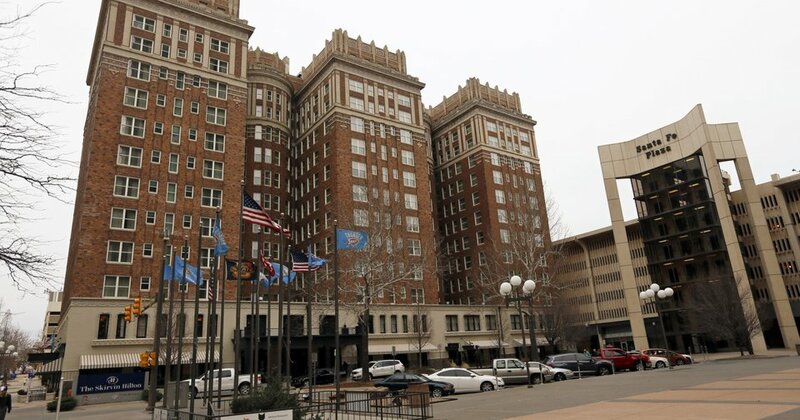 [The Oklahoman archives]The Skirvin Hilton Hotel and Effie, the fabled ghost who supposedly haunts the historic landmark, may soon be featured a Hollywood movie based on tales told by NBA players who say they've had encounters with the tragic and sometimes amorous apparition. Such ghost stories have long made the rounds on ESPN, magazines and sports sections across the country since the hotel's opening coincided with the temporary placement of the Hornets in Oklahoma City followed by the move of the Thunder from Seattle. ESPN and Variety reported Monday afternoon the hotel will get the Hollywood spotlight with Imagine Entertainment announcing it has optioned an upcoming Players' Tribune oral history article on the Skirvin with the movie set to star Kyrie Irving of the Boston Celtics and “Uncle Drew” fame. The film is set to be produced by Imagine Entertainment co-chairman Brian Grazer and Bobby Cohen. But what interested me more is what I refer to as the roller coaster horror movies, like 'Poltergeist,' where it's scary but it is also rich with wit and satire. Fellow Oklahoman writer Jack Money and I authored an exhaustive history on the Skirvin shortly after it's opening in 2007.